A sleeper hit of a record if ever I've seen one, Exocrine's third album, 'Molten Giant', was criminally under-publicized at release, and few reviewers took the time to really delve into it. While I won't labor under the delusion that my voice carries any significant degree of weight, I regardless feel the need to shine what little spotlight I possess on this absolute monster of a record. 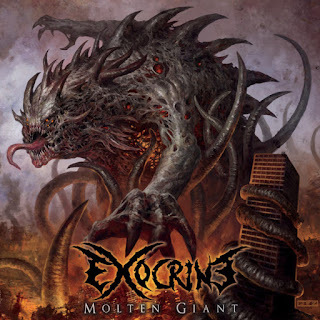 'Molten Giant' is, in this author's humble opinion, the greatest progressive technical death metal album since Virvum's masterpiece, 'Illuminance'. Clocking in at a tight 34 minutes, Molten Giant doesn't spend any time screwing around. 'Scorched Human Society' sets the scene with an atmospheric soundscape swiftly giving away to frantic tech-death guitar. Fans of the band will immediately notice that the production woes that plagued them on their sophomore album 'Ascension' are long gone. The mix is clean and professional, though listeners of a more discerning nature will note that the album is on the loud side, but that's a staple of modern tech-death for better or worse. The real standout section here is the mid-album trio of 'Backdraft', 'Molten Giant', and 'Flamewalkers'. Atmospheric, technical, and memorable, these songs eviscerate the notion that tech death can't be simultaneously catchy and blistering. Each song also features breaks from the brutality with surprisingly tasteful solos and the occasional synth build. It's a noteworthy touch that helps the band stand out from the pack of modern tech-death. 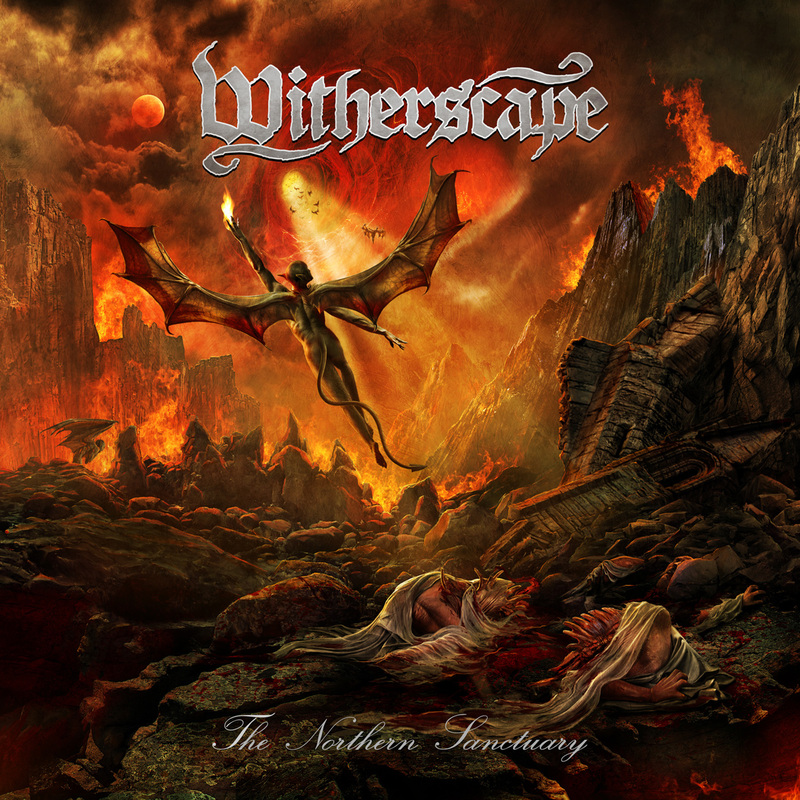 The album closes out with 'Shape of the New World', an 8-minute long behemoth of a song, led into by the slow build of instrumental 'Behind the Wall'. This closing track could easily have been a disaster, as longer tech-death tracks tend to be, but somehow it pulls through without any distinct issues. Listener fatigue can set in by the end of even the most concise tech death albums, and ending with a song this long is a ballsy move. (At least it's not Alkaloid's 'Rise of the Cephalopods', yeesh.) In the end though, it just works, and rewards the listener with layers upon layers to tease out over subsequent listens. 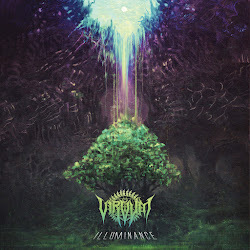 If you enjoy technical death metal, you need to check this out today. With it streaming for free on Bandcamp and Spotify, what excuse do you have to miss out? Molten Giant is available now on Bandcamp.